This year, our Spring Concert was held on April 22nd . We met at the classic manor Fangorówka at the Polish Academy of Sciences Botanic Garden in Powsin. This year Spring was chilly. Outside, in the garden, frozen buds on magnolia trees created a melancholy mood. In the concert hall, however, the atmosphere was warm and joyful. Color dresses of the soloists created a nice counterbalance for that cloudy spring afternoon. The concert was opened by Natalya Voloshyna who performed the Ist part of Ludvig van Betthoven’s Spring Sonata. Sisters Marcelina and Michalina Lubowickie. 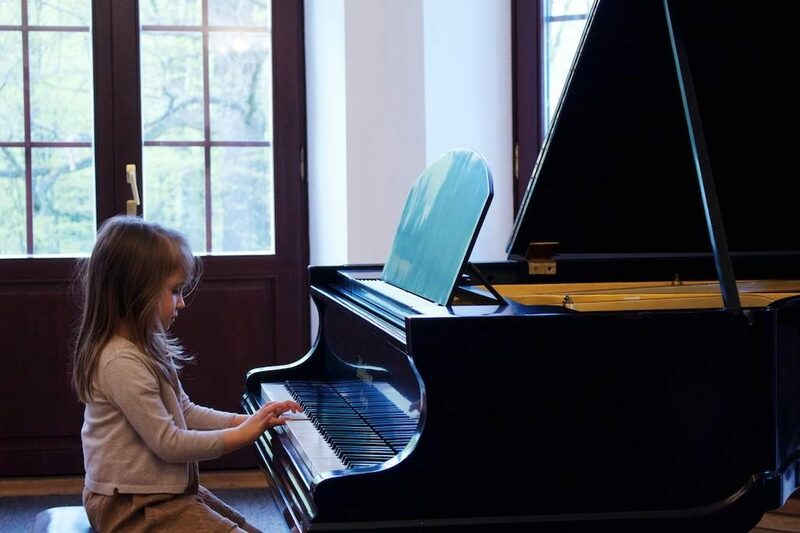 Marcelina played two songs from the piano pedagogics: Fairy-tale about birds and Kitten. Michalina did two songs: Exercise and Polka. Nicole Obarzanek played Janina Garscia’s miniature Two little goatlings. Pola Rossokhina played Gnesinai’s Etude and Menuet. Mozart’s Romanza and Dymitr Kabalewski’s Clown. 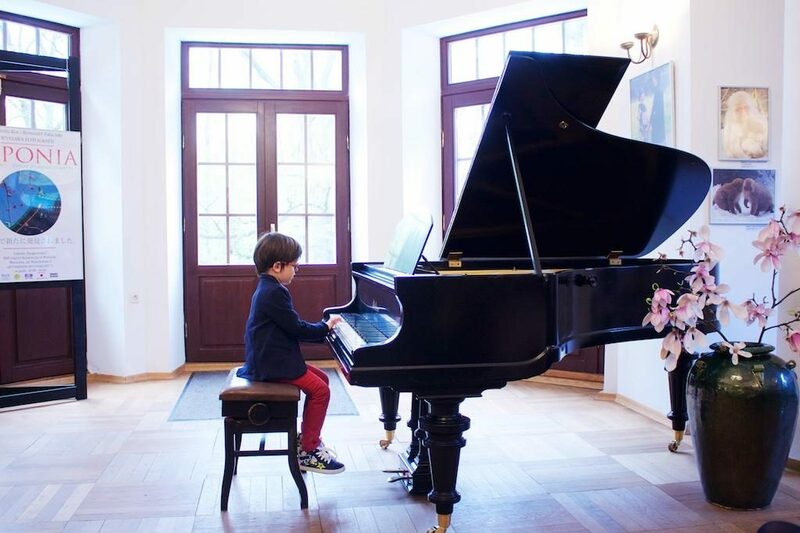 Konstancja Kawalla-Kosiec class of piano was represented by Aleksander Osia who did Wanda Cmielowska’s Party at the Dolls Place, and Władysława Markiewiczówna’s Jumping-jack dance. Andżelika Czigiloj performed Ferdinando Carulli’s Larghetto and Peter Nutali’s Serenade. Jojo Yang Yi played Etude in C-Major by …..
Emilka Wilkins played Allegretto by…. Franek Kulig played Ludwig van Beethoven Sonatina in G-Major. and her sister, Lila Depczyńska, performed Johann Sebastian Bach’s Musette. Ella Bai executed Rondo (the 3rd part of Concerto in D-Major) by Antonio Vivaldi. At the end of this Annual Spring Concert, Ella Bai appeared again and performed Carl Bohm’s Introduction and Polonaise. The Unisono Musical Academy Annual Spring Concert 2017 was narrated by Liza Maria Pietraga. After the musical program was completed, Zofia Zwolińska, Director of the Unisono Musical School, expressed her acknowledgements and thanked all the soloists and professors for their work which brought so much joy and to the entire audience for its warm reception an applause. Finally, at the end of the day, the young soloists and their little brothers and sisters were welcomed as usual to the tray full of sweet candies and chocolates served by Liza Maria Pietraga.